"Shuttleworth: Linux Power Users Aren't too Cool for Unity"
"There is a bit of a myth that power users don't like and aren't interested in usability and ease-of use,"
"There is going to be a crowd that is just too cool to use something that looks really slick and there is nothing we can do for them,"
I can't speak for everyone, but I can at least speak for myself. I am not "too cool" to use something that looks "slick" (I mean comon, have you seen Enlightenment). What I'm not about to use though is something that was clearly designed for a touch screen on my computer that has a 15+inch monitor driven by a keyboard and mouse. I'm not about to use something that is resource greedy. And I most certainly not about to use something that makes most all the choices for me about how my desktop should be laid out. I'm the one that is going to be using my computer - so how about I get to choose how the GUI works best for me? I know everyone is bound to have one of those "open mouth insert foot" moments at one point or another, but Shuttleworth's blatant disregard for why users dislike Unity is just shocking to me. Q&A with Enlightenment Lead Developer "Rasterman"
It's no secret that I am a huge fan of the Enlightenment desktop. I recently got into contact with the project's lead developer "Rasterman" and we did a little bit of a question and answer session. If you aren't sure on what all the Enlightenment desktop and the EFLs are exactly please see my post here. How long have you been working on E for? I remember when I started writing E. Dinosaurs were roaming the earth and things were much warmer... So that was back in 1996. 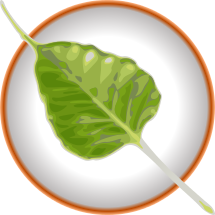 You've been the lead developer for Enlightenment for some time, did you work on any other desktop environments/projects prior to it? hacking and rxvt-xpm too. Beyond this I also wrote some trinkets like xflame (display flames in X in a window or on root even) xripple (create reflection ripples on your desktop background in x). Then I got sucked into the bottomless pit that is Enlightenment and have yet to escape. What inspired you to create another desktop/window manager? using the facilities it had, so I did. In your opinion what are the EFLs strongest advantages over other libraries such as GTK or QT? Smaller, leaner and built for a more modern graphics era. They are designed from the ground up as a scene graph. GTK and QT are just beginning to explore that and see the light. EFLs have been there and mature for many years now. How much of Enlightenment/EFLs do you maintain personally? Not all of them by any stretch. I mostly stick to ecore, evas, edje, embryo, eet, and elementary. Eina I throw things into now and again, but I don't tend to put a lot of time into that one. Efreet, e_dbus and eeze I mostly leave alone. E17 itself I do a large amount of work on still. Of course many others who work on these too to varying degrees, not just me, so it's a team effort. How many active developers does Enlightenment currently have working on it? In terms of fulltime developers spending 8+hours per day cranking out code, we have about 5 on a good day. If you just want to talk about the number of people actively sending in patches, it's about 20. If we had more manpower we could do so much more. Many developers just get distracted off into many other things (real life, their day jobs, other tasks etc.) most of the time. Are you looking for more help with development? Do you have any tips for aspiring programmers hoping to get started writing applications using the EFLs? Start with the libraries that make things simplest - start with elementary. It's the least code to get the most done. Work your way down. Get your head around the idea of a scene graph instead of immediate-mode rendering as well as a mainloop and callback-driven api's and you'll be golden. I know Samsung funds Enlightenment development, do any other companies sponsor a sizable amount of development? companies involved here and there like ordissimo, calaos, free.fr, but I don't even know them all and have probably missed a few in my quick answer here. Can you give us any hints about how Samsung plans to use the EFLs they are funding? We are using them as part of a mobile platform that's basically a full Linux OS stack like your regular desktop linux distributions. It is being designed for mobile devices like smartphones, tablets, and god knows what else (that's all pretty obvious given that it's the mobile os r&d that is doing the work). As a developer what is your take on Gnome 3 and Unity? a lot of unhappiness amongst users. Gnome 3 - seems to have also created a lot of friction. Gnome 3 is now finally becoming tightly coupled like E17. They are in fact moving towards our model of things now, so I would guess it's a vote in favor for us having had the better model to begin with and being ahead of the curve. My general take on any environment that REMOVEs options from the user or makes them exceedingly hard to find or change, is that it does its userbase a disservice to the extreme. If you want to move options to "advanced" dialogs somewhere or something - fine, but removal is just bad. Anything else you'd like to add/feel is worth mentioning? In general I think EFL and E get a lot of things really RIGHT. We normally implement many things quietly without fanfare or blogs that you find other DE's and toolkits implementing with lots of publicity about their great new feature. We are a very behind-the-scenes group and are more conservative than most in actual publicity. This is something we really need to break out of somehow and improve. We don't "toot our own horns" enough. I really wish we had 1 or more people just devoted to doing public relations, blogs, announcements, press releases... the works. I'd just like to say thanks to Raster for taking some time out of his day to field my questions. Hopefully you learned as much as I did. "for zero price" versuses "with little or no restriction"
"Think free as in free speech, not free beer." Should Joe Average the end user care if their software is Gratis or Libre? Whether or not a program is truly free doesn't affect the user user right? Having a truly open software model ensures that the piece of software you love using today you will still be able to love just as much tomorrow. It means you don't have to worry about a good piece of software having it's code base get bought out. It also means that if a developer chooses to abandon a piece of software other developers are free to continue working on said piece of software. In fact the only reason for keeping your "free" software free as in beer is to prevent your users from having choice. By not having open standards you can easily lock users into not being able to easily change from using your software later on. Not all free software is created equal. Some authors believe more in liberty than others - so next time you download a piece of software that is "free" be sure to find out which kind of free it is! At little over a month ago the Bodhi team and I released our second update release. We were unaware at the time that the version of GCC used to compile the kernel on this release had an issue that caused an issue for some users when compiling and inserting extra kernel modules (such as the nvidia drivers and Virtual Box). This update release today contains a kernel in which this issue has been resolved. If you already installed Bodhi 1.2.0 (or an earlier release) and your system is working fine (odds are it is, this issue was only affecting some users) there is no reason to install this new release. It is simply a bug fix release so the ISO image has the updated kernel by default. You can find the new ISO image in high speed torrent download here or via direct download here. Speaking of the nVidia driver - we know that jockey-gtk did not play nicely with Bodhi because we do not force kernel updates as Ubuntu does. Because of this we developed our own GUI tool that automates the installation of the current nVidia driver. You can find that here. I would also like to publicly announce that our new browser based "App Center" is ready for use. While it may not look terribly different from the software page we had been using for the past several months, this new "App Center" has been written from scratch and no longer utilizes Doku Wiki. Currently the most notable new features are an RSS feed for new applications added and an "instant" search box. We plan to add more features to the App Center in the future including user accounts that will integrate with our forums. While having an account on the App Center will be optional, it will eventually allow users to rate/comment on applications and most importantly it will allow them to save "App Sets" so that if they install Bodhi on another computer (or reinstall on the same one) they can easily re-download all their software with a single click. Those two words have driven fear, annoyance and hate into the hearts of many users and developers for some time now. I am here to say today, in case you had not noticed, that there is a light at the end of the tunnel. I say with certainty that the days Adobe Flash enjoys as a dominant web development tool are numbered. Don't believe me? Just take a look at the many popular flash based services that are moving away from the stale technology. Two such examples of this are the music streaming service Pandora (which is now fully HTML5) and the popular video streaming site Youtube (which currently offers a beta HTML5 version). Google+ also display any linked to Youtube videos using the HTML5 technology. Java script and HTML5 technologies are the way of the future for web design. While FOSS advocates such as myself have felt this way for some time it was wonderful to hear it come from the king of closed source software. 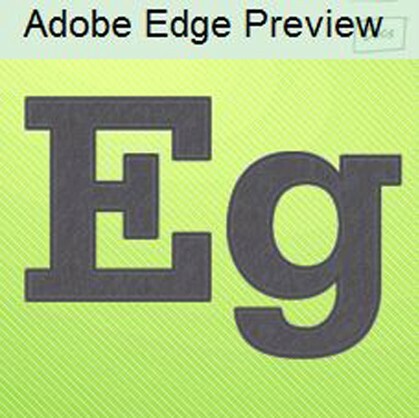 Finally, the last sign that flash will soon be a thing of the past is Adobe's own "Edge Technology". Edge is designed to help web developers create web content using only Java Script, HTML5 and CSS3. When even the creator of flash realizes their technology is on the way out I hope everyone else does as well.